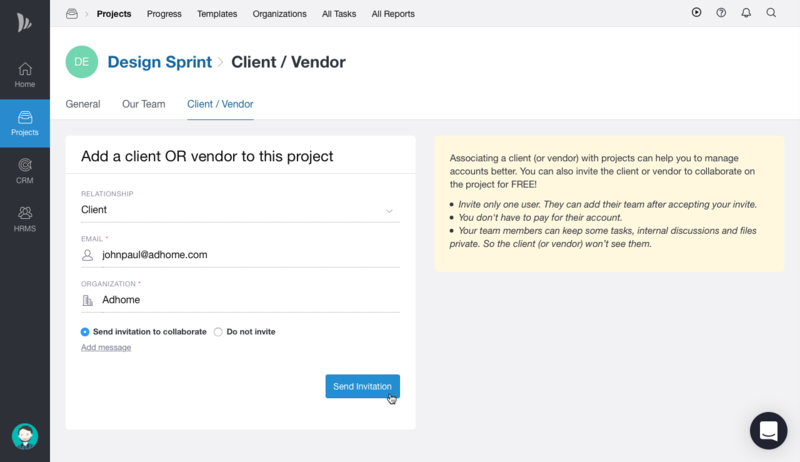 Inviting a client to a project helps both your team members and client to be on the same page. 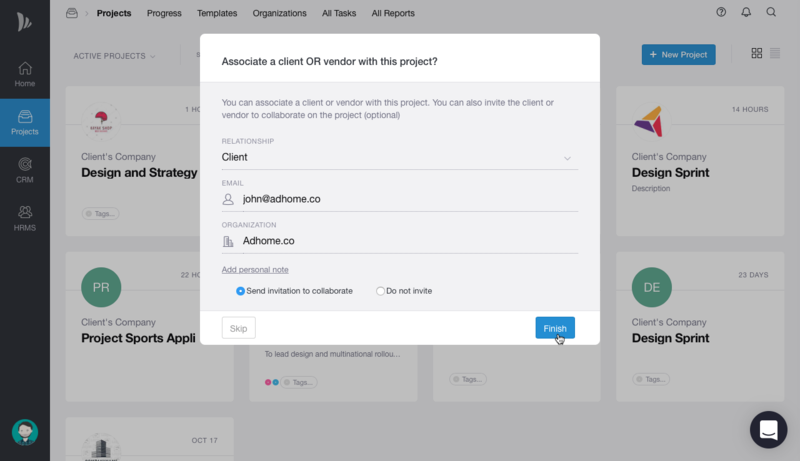 You can collaborate with your client, share files, notes and what not! On top of that, you don't have to pay for your client's account. It's completely Free! You can also use the privacy options in tasks, files, discussions and notes to limit your Client's access to those. A client/vendor can be invited while adding a new project or to an existing project. Click on send the invitation. If your client is not an existing TeamWave user he should accept your invitation from the email and sign up from there. An existing TeamWave user can accept your invitation through the mail or from notification sent in the TeamWave application.